Less than 24 hours after Tallahassee Mayor Andrew Gillum’s historic win in becoming the Democratic nominee for Florida governor, his opponent and Trump favorite, Ron DeSantis, is already pulling out the racist bullhorn to rile up deplorable Floridians. 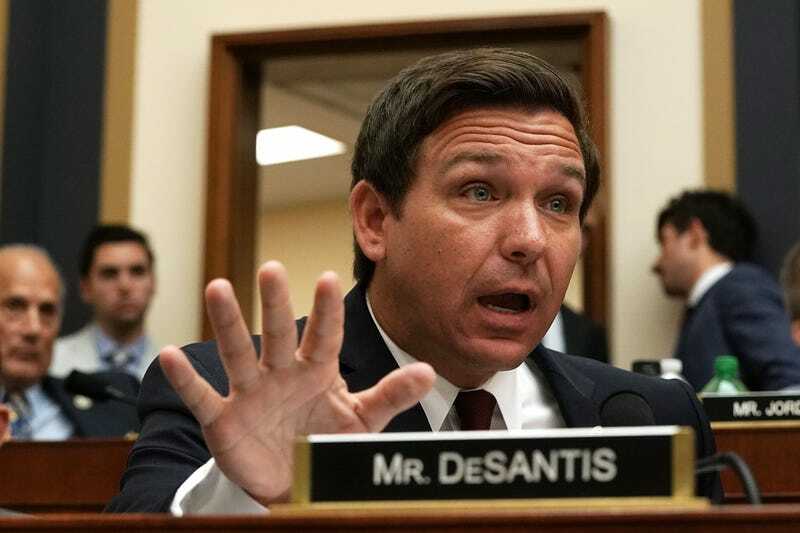 During a segment on Trump’s personal YouTube station, Fox News, DeSantis, the U.S. Representative for Florida’s 6th Congressional District, called his opponent “articulate” and warned voters not to “monkey this up” when going to polls in November. And you know that white nationalist’s favorite tiki torch in the Oval Office couldn’t wait to weigh on Gillum’s historic win. What we are witnessing in races across the country is the Trump effect. Because Trump has burned a cross in America’s lawn, racists, or those with racist leanings, are now emboldened by the highest office in the land. And this isn’t a bad thing. Remember in the past when we had to sort through coded language to find where a politician’s heart truly lay? Now, because of Trump, racists feel free to spout racist rhetoric ad nauseam. We no longer have to guess. Floridians who go into the voting booth and pull the lever for DeSantis know exactly who they are getting and so do the rest of us. And the world will be better because of it. Expect more of this kind of talk as the race heats up because, first off it’s Florida (which, I’m totally fine with sawing off the map, Bugs Bunny style, and allowing the entire state to float into the Atlantic). And, because this is who DeSantis is and he doesn’t have to hide it. And that’s a good thing for the rest of us because now we know exactly where he stands.